The 40x90m Large TFS Tent also called Curve Tent, main profile size is 300x125x5/8mm. With its curved roof design, it is better for the snowloading and rain draining, also more eye-catching. With the distinctive roof shape, heart shape design,the 40mx90m TFS Tent comes with 13.5m ridge height, much higher than the normal design, which is suitable to the exhibition center purpose. 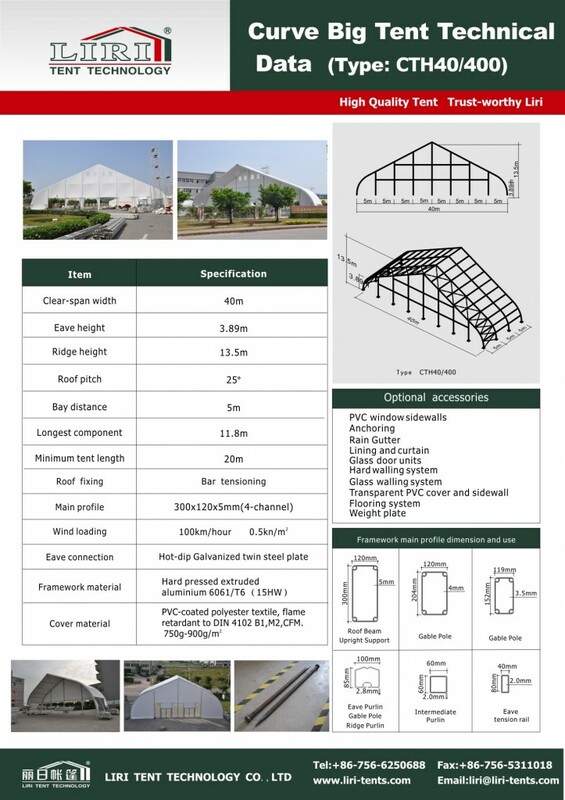 40x90m Large TFS Tent for Exhibition Center, which can cover more than 4000 people, it is also comes with modular design, and very convenient for permanent or semi-permanent purpose. 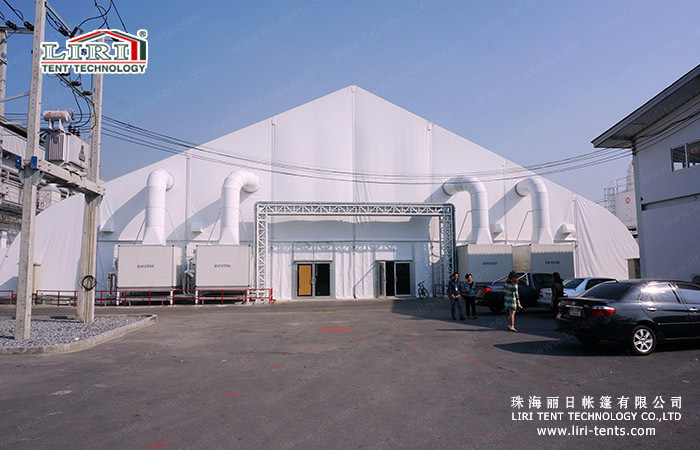 In Summer, it can also fix with the Air-conditioners, due to the large area of the tent, people can add the flue pipes, so that the temperature in the tent will be more balance. TFS Tent we also called it Curve Tent, with its curved roof design, TFS Tent Series has capability of snowload. It’s a solution for semi-permanent strucure. This tent is our TFS TENT( CURVE TENT) 40X90m in Thailand, it is used for exhibition center, with a special design shape, it will be more eye-catching and have a large enough space for the exhibition, it will be a very good option for the concert and show. When heavy snow or rains come, it will be beneficial from the design.